Welcome to the Home Run Ranch in South Park where you are surrounded by beautiful mountain ranges and river valleys and can see for miles and miles. Located near the crossroads of Hwy 9 and Hwy 24 near Hartsel you are centrally located to many of Colorados most sought after features and recreational attractions. 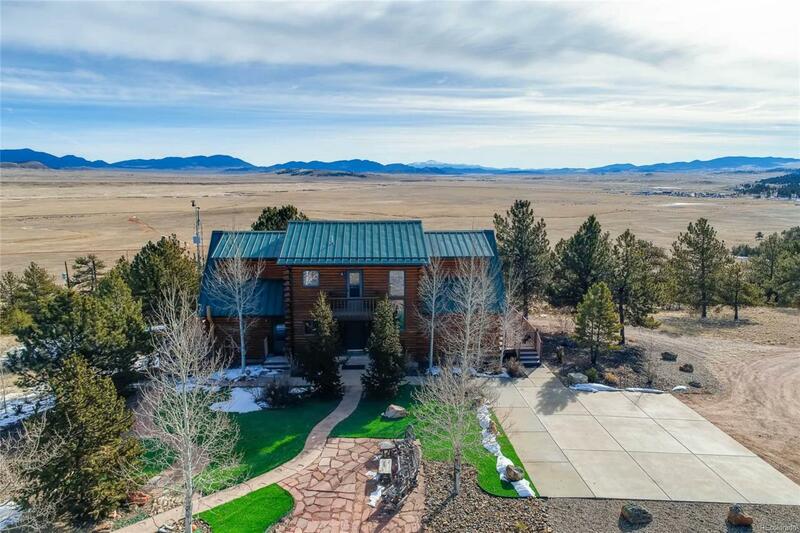 Ski Breckenridge, raft the Arkansas, fish the Gold Medal waters of the South Platte river or Spinney Mountain and Eleven Mile reservoirs, hike and bike or hunt all within an hour of this fabulous property. Picturesque views from every window are featured in this magnificent home. Many fine features and updates are found throughout. Bear themed accents add to the ambiance. Gather with friends and family in the Great Room under the antler chandelier or entertain and BBQ on the large wraparound deck. Take a soak in the hot tub and gaze at the stars. The Master Suite features a spa shower and walk-in closet. Two large bedrooms on the upper level feature oversized closets.